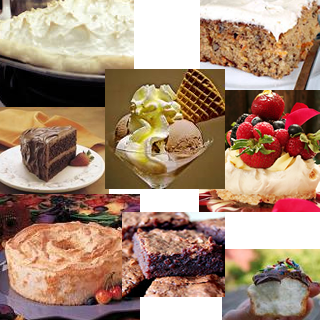 Dessert Recipes are really enjoyable cooking - and eating! So what does it take to create delicious desserts? 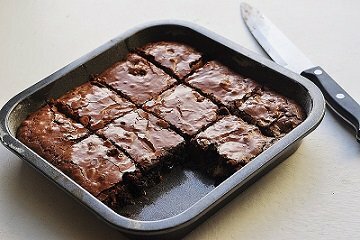 These restaurant dessert recipes because they have been approved by literally thousands of people for well over three decades! These favorite restaurant recipes are the actual ones used to help build and sustain a small town American restaurant business for over 30 years. The restaurant guests have time after time requested these secret recipes. 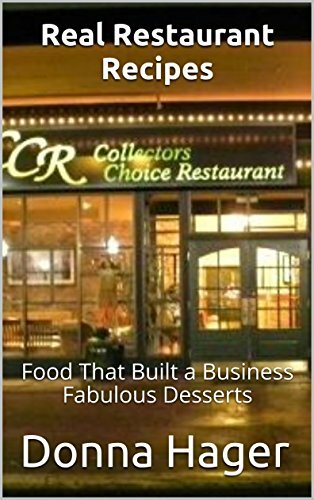 Now the restaurant dessert recipes are available in full-color paperback or e-books! Just click here. 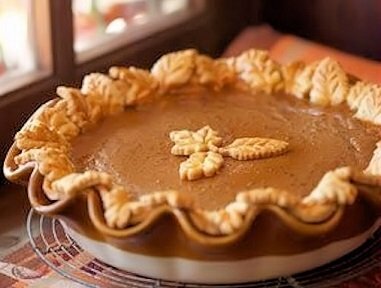 A basic Pie Crust Recipe is easy, but will give you a delicious, flaky pie crust. Preparation time: 15-20 minutes. Makes 1 standard size pie crust. Easy and delicious crust for your no bake pie fillings. Preparation time: 10 minutes. Makes 1 standard size pie crust. Apple pie is still a favorite dessert in America. It certainly is in my restaurant. But I sell our apple crisp like crazy. Preparation time: 30 minutes. The apple crisp restaurant recipe serves 12. How to easily can your own delicious apple pie filling. Preparation time: 35 minutes. Makes 6 quarts. 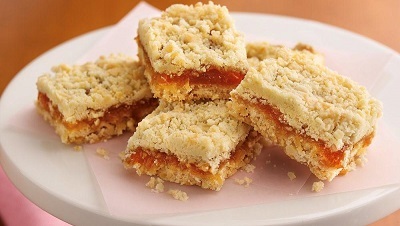 These delicious Apricot Bars are apricot cookies that taste great with a cup of coffee or tea as a snack as well as an easy-to-make after dinner dessert. Preparation time: 15 minutes. Makes 2 dozen. Preparation time: 20 minutes. Makes 2 1/2 dozen. The restaurant guests are disappointed if we don’t have this Peanut Butter Pie freshly made and “in stock.” The recipe calls for a graham cracker crust and a bit of chocolate on top! It’s quick, it’s easy, it’s fabulous. This Banana Split Cake is an ideal dessert when you have family coming to share a meal. Preparation time: 20 minutes + 25 minutes for baking. Serves 12-16. Preparation time: 15 minutes. Serves 4. This dessert recipe uses quality, pre-made product so you can "get it to the table" quickly and easily. It's a real time-saver, but it is also a "crowd pleaser." This restaurant recipe for blueberry cobbler is a great seller at the restaurant, especially when fresh blueberries are available. Preparation time: 20-25 minutes. Serves 15-18 depending on portion size. 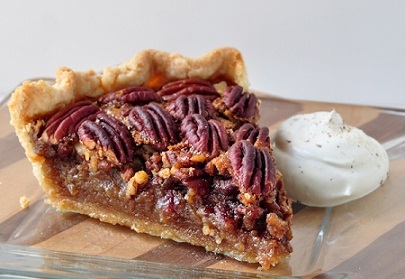 Although popular throughout the year, this Bourbon Pecan Pie recipe is a big-time favorite during the fall and winter holidays. Preparation time: 30 minutes. Serves 6-8 depending on portion size. One taste and you'll know where it got its name. Preparation time: 20 minutes. Serves 6-8. The word comes from French éclair 'flash of lightning', so named because it is eaten quickly (in a flash). It doesn't have to be a holiday for you to make this delicious strawberry rhubarb crisp. By making it, the day will become special. Try these favorite restaurant recipes for dessert. You, your family and your guests will be pleased. Thousands of regular guests at the restaurant certainly are. 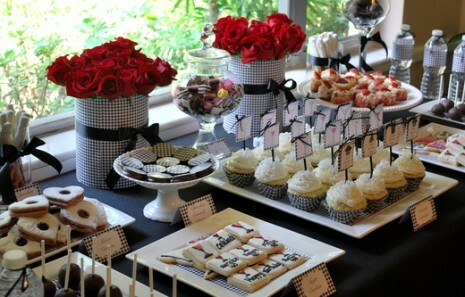 Thanks again for finding me and being interested in dessert recipes that allow you to cook with confidence ...and style! 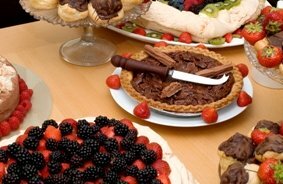 Enjoy these restaurant dessert recipes and those you share them with! Did you know? In countless surveys, Apple Pie has been chosen the favorite dessert in the United States. Apple pie has also been a favorite in England for hundreds of years. Now you can have these recipes as an e-book on your electronic device or as a beautiful color paperback. Amazon.com has the books! Check it out.